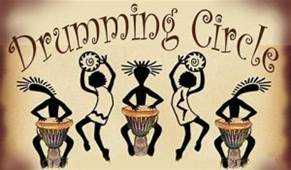 The InterMountain Teen Centers are hosting a Drum Circle with Verena Compton Wednesday March 20 6:00pm-7:00pm in the great room at Hill Country Clinic in Round Mountain. 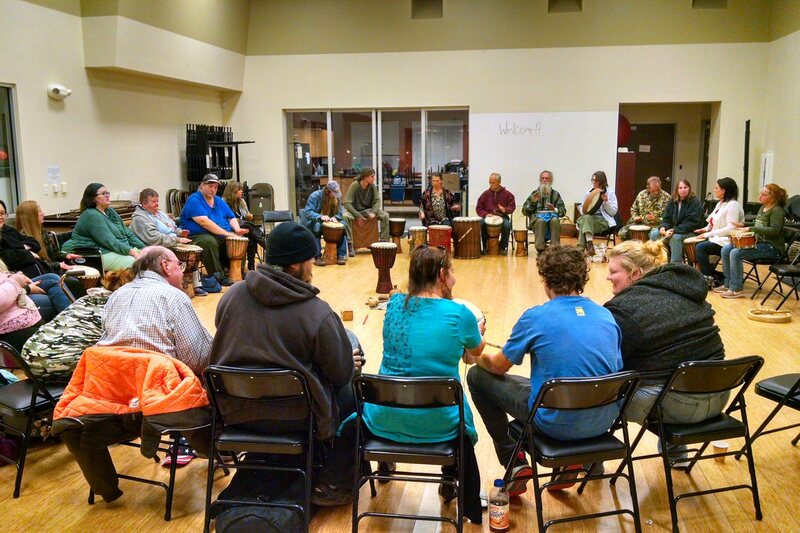 More than 40 people gathered at the Hill Country Clinic on Wednesday evening November 14 to participate in a healing drum circle sponsored by the Intermountain Teen Center. The teens invited everyone in community and drew drummers and shakers ranging in age from a young toddler to senior citizens. Circle of Friends in Burney brought a bus load and two vans and people came from Round Mountain, Montgomery Creek, and Big Bend. 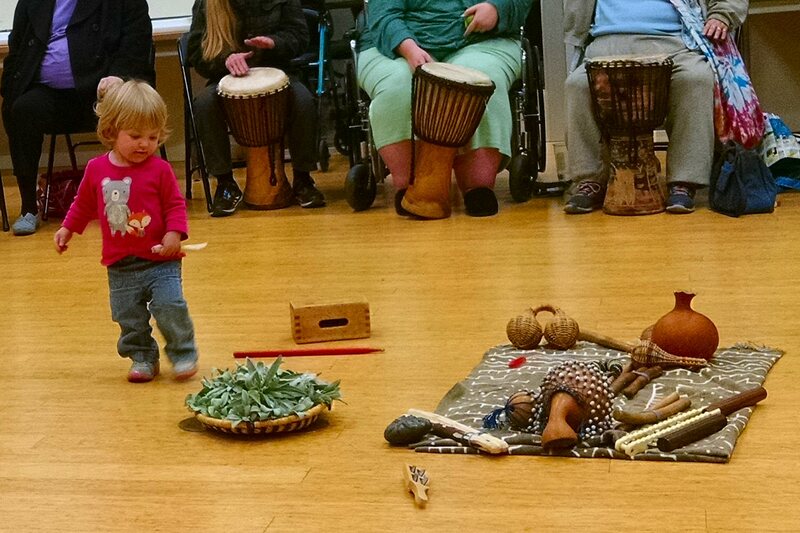 There were lots of drums, shakers, clacking sticks and other rhythm instruments so that everyone was able to participate. Teen Center Program Coordinator Theresa Callahan welcomed everybody and then introduced experienced drummer Verena Compton, who facilitated the drum circle together with her husband Randy. Verena began with a prayer in both German and English. She advised people that the African djembes were meant to be played with hands only. Then she began a beat and everyone joined in. After a period of time the drumming came to an end and then Verena or Randy began a new beat for another period. And so it was for one hour as people joined in with djembes, bongos, Native American drums, gourds, shakers, and sticks. The drum circle continued for about one hour. Communal drum circles have existed amongst indigenous people around the world for thousands of years. They began becoming popular in the United States during the counterculture movement in the late 1960’s. Over the years, it has been found that drumming is therapeutic. Typically, people gather to drum in drum “circles” with others from the surrounding community. The drum circle offers equality because there is no head or tail. It includes people of all ages. The main objective is to share rhythm and get in tune with each other and themselves. To form a group consciousness. To entrain and resonate. By entrainment, I mean that a new voice, a collective voice, emerges from the group as they drum together. 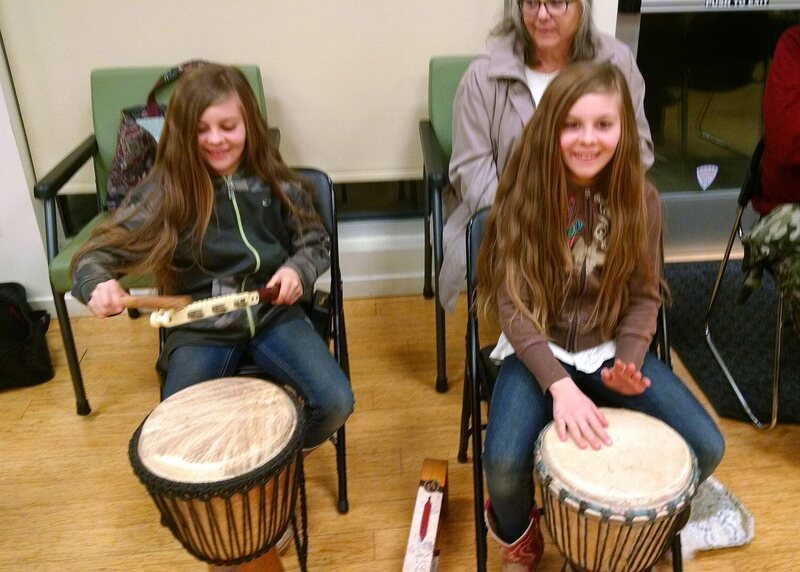 The Intermountain Teen Center plans to host more drum circles for the community in the future. The Intermountain Teen Center will be beginning summer hours starting June 12. The center in Burney, located in the Circle of Friends building at the corner of Hwy 299 and Tamarack Ave, will be open from 2-5 p.m. on Tuesdays and the center in Round Mountain, located at Hill Country Clinic, will be open 2-5 p.m. on Wednesdays. On Thursdays the center will have field trips including kayaking, sailing, and visiting local waterfalls and swimming holes. Suggestions for additional activities from parents and teens are welcome. In addition to the regular weekly activities, there are two special trips planned. The first is the annual Santa Cruz trip, which will be June 25 thru the 29. Teens who wish to participate need to have their parents or guardians fill out a permission slip. Permission slips are available at either the Burney or the Round Mountain centers. There will also be a trip to Lassen National Park July 24 to 27. The Intermountain Teen Center is a youth outreach program of the Hill Country Health and Wellness Cen7ter serving teens ages 13-17. Monthly calendars and information on activities and trips are available at both centers. Or call Theresa Callahan at 338-4733. “Dakaro Cellars donated two very nice bottles of Port wine, one red, and one white (yes there is such a thing as white port). 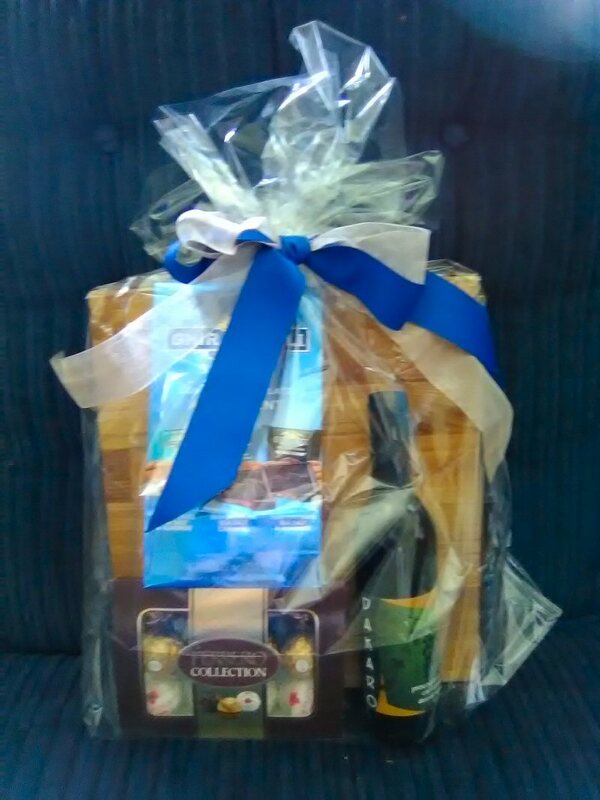 These will be raffled off as part of two very nice gift packages including gourmet chocolates and some very nice butcher-block cutting boards. 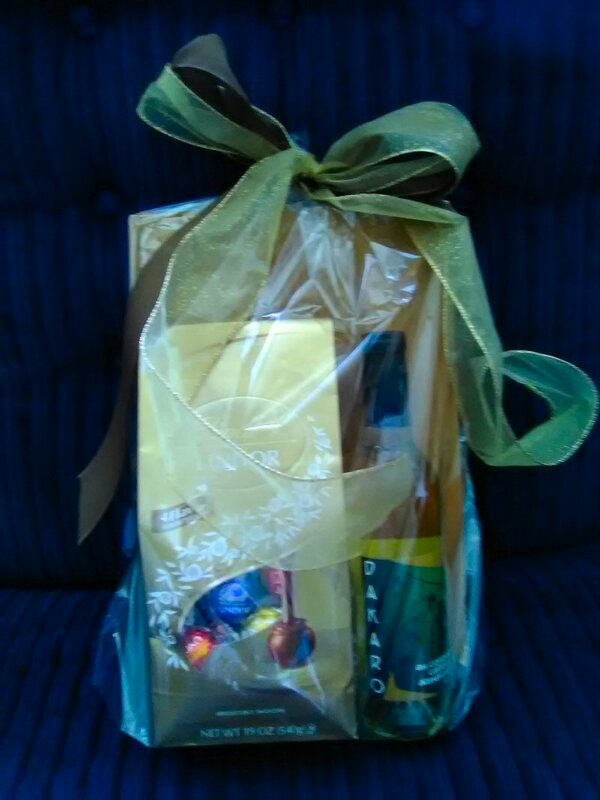 These gift sets will be on display at the Behavioral Health front desk. The Drawing will take place after the craft fair on Wednesday May 2nd. Raffle tickets are also available at The Behavioral Health desk. Tickets are $1 each or 6 for $5. The Intermountain Teen Center is a youth outreach program of the Hill Country Health and Wellness Center. The center operates in two locations one in Round Mountain and one at the Circle of Friends center on the corner of Main and Tamarack. The teen center serves teens ages 13- 17. The center has held a number of classes on cooking and art. They also have a lot of fun activities, including field trips, contests, air hockey, a pool table, board games, art, and music. There are quiet areas to do homework and computers for the young people to use. There is also a music room and a small gym area with workout equipment. During the school year the center is open in Round Mountain on Wednesdays and Fridays after school. In Burney the center is open on Tuesdays and Thursdays after school. For more information about the Intermountain Teen Center, the raffle, or the candy sale call Theresa Callahan or Jed Smith at (530)337-5752, or Chelsea Sabin (for Burney) at 335-4222. On Tuesday June 20, Lion George Whitfield presented a check for $300 to support youth activities at the Intermountain Teen Center. The teen center serves teens ages 13- 17. The center has held a number of classes on cooking and art. They also have a lot of fun activities, including contests, video games, air hockey, a pool table, board games, art, and music. There are quiet areas to do homework and computers for the young people to use. There is also a music room and a small gym area with workout equipment. Summer hours are 1-4 p.m. on Tuesday in Burney and 1-4 p,m. on Wednesday in Round Mountain. On Thursday, the center sponsors local field trips for teens from both locations. This week teen center coordinators, Theresa Callahan and Jed Smith, took some of the teens on and extended excursion to the Santa Cruz area. 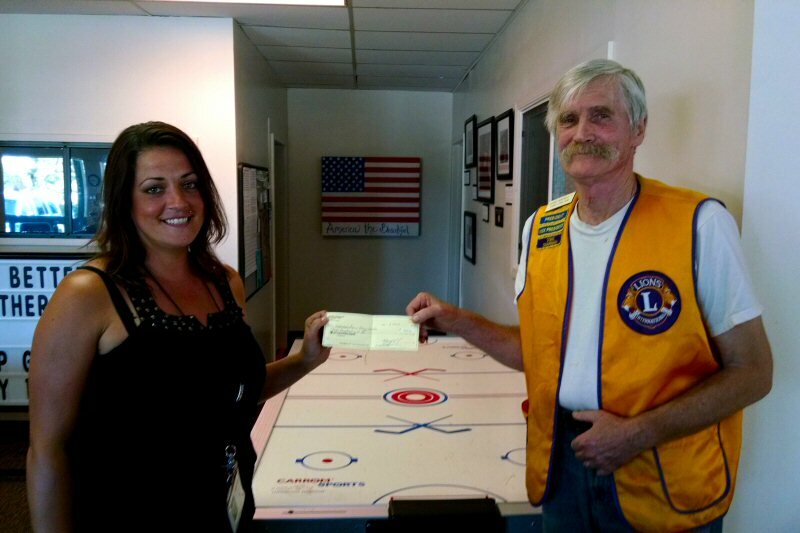 According to Whitfield, the Burney Lions Club gives donations to more that 25 local charitable causes, including $12,000 in scholarships for local youth. For more information about the Intermountain Teen Center call Theresa Callahan or Jed Smith at (530)337-5752, or Chelsea Sabin (for Burney) at 335-4222.